Wind Turbine Bolts, Wind Turbine Fasteners, Wind Turbine Nuts - Bolt Products Inc.
Bolt Products will distribute the patented Self Locking Nut manufactured by DISC-LOCK. The Nut has unique, interlocking cams that prevent the nut from coming off when subjected to vibration or high levels of tension. They are available in Metric or Inch sizes. Common Applications include the commercial transportation industry, specifically as a Wheel Nut on Trucks, Truck Frame Fastening Systems and Railcar Fastenening Systems. The DISC-LOCK Nut and Washers eliminate truck wheel loss that can cause severe - often fatal - accidents which are very expensive to owner and operators. 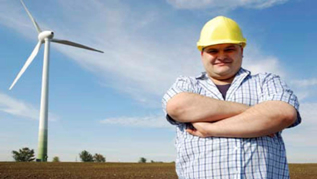 Wind Turbines require an extensive number of fasteners that must also be vibration proof. Bolt Products now supplies large diameter wind turbine fasteners for assembly, transportation, construction and maintenance of wind turbines. The rapidly expanding green energy wind industry has high demand of specialty wind turbine fasteners required to manufacture the latest wind turbines. The distinctive three-blade wind turbine can weigh up to 164 tons and requires approximately 25,000 fasteners. Bolt Products Inc manages a complete solution starting with the exact documentation required and delivers the fasteners required for this complex wind turbine assembly. 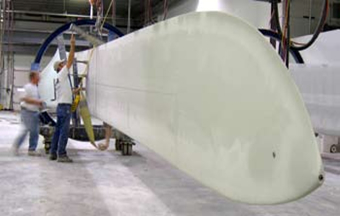 The wind turbines assemblies require unique fasteners and fastener application engineering. Specialty, custom engineered fasteners are required for wind turbine high stress applications and intense vibration that exist during operation. Bolt Products offers complete product, process and material traceability. With its warehouses in the Midwest and West Coast, Bolt Products offers excellent sourcing and logistics expertise as well as custom crating, kitting and packaging. Bolt Products experienced engineering staff are extremely well versed in dealing with nut and washers and ISO Standards specific to wind turbine technology. Bolt Products provides wind industry nuts, wind turbine bolts, wind turbine fasteners, wind turbine nuts, and wind turbine washers. More information on the full range of fasteners for all industries and applications can be found on www.boltproducts.com. All other sales inquiries and requests for engineering support should be directed to (800) 423-6503. Bolt Products Inc is a wholesale fastener distributor and authorized supplier of DISC-LOCK, KMC stampings, Rivet King, Tinnerman Palnut Fasteners, Heyco, Inserts International, DOT / Scovill, Lyn-Tron, Gesipa, RotorClip, Hellermann Tyton, Marson, Sherex, and Avery Dennison fasteners. Bolt Products offers custom engineered fastening solutions and a full range of Standard and Metric fasteners at wholesale prices. Bolt Products Inc is ISO 9001 registered and its supply chain conforms to RoHS and WEEE directives. Bolt Products distributes throughout the USA as well as globally. Bolt Products has Distribution warehouses in California and Iowa. For more information, please contact Bolt Products Inc at 800 423 6503 or visit www.boltproducts.com or email sales@boltproducts.com, contact Gary Cornell. SUBJECT: Bolt Products Inc to provide new fastener warehouse distribution facility in Iowa. Bolt Products Inc recently added a new fastener warehouse distribution facility in Iowa to reduce shipping times and reduce freight costs to its midwest and east coast clients. All wholesale fastener orders are still processed through the California-based Head Office or the website www.boltproducts.com. Gary Cornell, Sales Vice president commented, "This is a significant expansion of our distribution capabilities that will save our midwest and east coast client money and provide local stock of common fasteners." The new fastener distribution facility will also be supported by experienced local sales and engineering support staff, William Covington, who can be contacted directly 515-223-9014. More information on the full range of fasteners for all industries and applications can be found on www.boltproducts.com. All other sales inquiries and requests for engineering support should be directed to 800-423-6503. Bolt Products Inc is a wholesale fastener distributor and authorized supplier of KMC stampings, Rivet King, Tinnerman Palnut Fasteners, Heyco, Inserts International, DOT / Scovill, Lyn-Tron, Gesipa, RotorClip, Hellermann Tyton, Marson, Sherex, and Avery Dennison fasteners. Bolt Products Inc offers custom engineered fastening solutions and a full range of Standard and Metric fasteners at wholesale prices. For more information, please contact Bolt Products at 800-423-6503, visit the website at www.boltproducts.com or email sales@boltproducts.com contact Gary Cornell. Bolt Products an authorized distributor for Heyco Products, Inc., is helping to promote and distribute the new ERTB Terminal Blocks for all high current draw and aluminum wire applications. HEYCO especially designed and manufactured this new precision-molded wire-protection product using stamped metal electrical components, for OEM line-voltage power transmission to various electrical equipment.